Meeting with the customers’ miscellaneous needs and requirements, we are involved in providing a top collection of Pavers Plant. 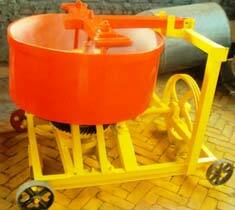 It is extensively used for different purposes across various industries. We do our utmost to present the top quality available in the market. The quality on offer is ensured to be in match with industrial grades of quality. Our product stays in lofty demand worldwide thanks to the its low maintenance, easy operation and durability.